Microcredit encompasses a diverse range of lending. Some microcredit organizations specifically seek to empower low-income individuals to become entrepreneurs by providing affordable business capital. Other microcredit organizations focus on strengthening and growing small businesses, and do not target specific income groups. The Small Business Administration considers loans up to $50,000 as microloans. Since 1997, UMEZ has offered microloans through partners that specialize in microcredit to individuals underserved by mainstream banking institutions. Grameen America, Inc., a nonprofit microfinance organization based in New York, was founded in 2008 by Nobel Peace Prize winner Muhammad Yunus. Its mission is to help alleviate poverty through entrepreneurship by providing loans, savings programs, credit establishment, and other services to low-income individuals in the United States. All loans support small business activities including food carts, at-home catering businesses, or salon services. Grameen America has a branch in northern Manhattan, which disbursed its first loan in March 2009. The branch has grown to nearly 400 borrowers with a growth strategy to increase to over 4,000 borrowers. Between 2011 and 2012, UMEZ provided $3.5 million in loans and $750,000 in grants to Grameen America to expand its operations and programming beyond Washington Heights to the entire UMEZ footprint. Accion began in Brooklyn in 1991, with the goal of connecting small business owners with financing and support to create and grow healthy businesses. Today, Accion is the largest nonprofit micro and small business lending network in the United States. In the summer of 2004, UMEZ partnered with Accion to lend $500,000 to East Harlem business owners. Within a year, 40-50 loans were deployed, something that had never been done before in East Harlem. In 2006, UMEZ provided Accion with $1.5 million in grants to establish a long term loan fund for the Upper Manhattan business community. 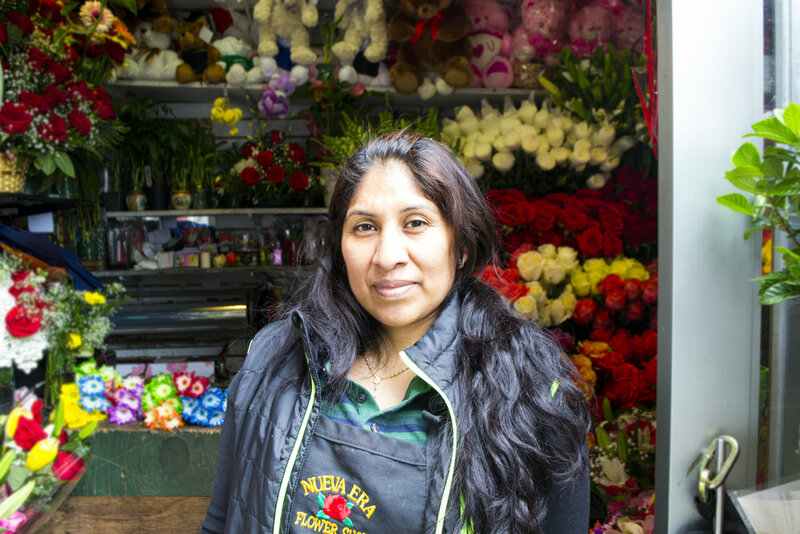 Through this partnership, Accion was able to lend over $5 million over 3 years to Upper Manhattan small business owners. The Washington Heights and Inwood Development Corporation (WHIDC) has been a long-time partner of UMEZ. Organized in 1978, WHIDC serves the residents and businesses of northern Manhattan by providing one-on-one assistance to entrepreneurs. Its services are aimed at assisting entrepreneurs with limited educational attainment, English language, or business management expertise. Certified in 1996, WHIDC was one of the first CDFIs in the state of New York. The Business Operating Success System (BO$$), WHIDC’s micro-business development program, has assisted in the creation of over 500 micro-enterprises. include street vendors, storefronts, and in-home businesses. for WHIDC to distribute among Upper Manhattan entrepreneurs since 1998.